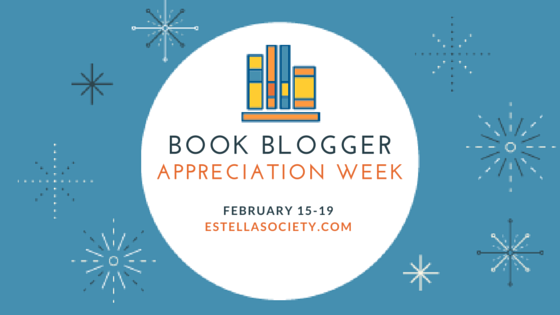 Day 3 of Book Blogger Appreciation Week asks: What have you read and loved because of a fellow blogger? After eight years of blogging, there are literally hundreds of books I’ve read due to blogger influence. 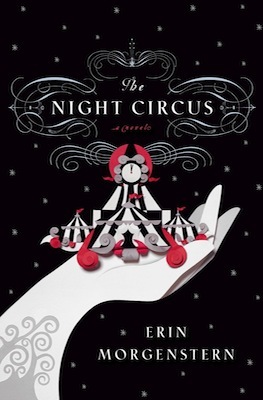 Picking a single book is hard, but I’m going to go with The Night Circus by Erin Morgenstern. This book was hyped like crazy in 2011, and I tend to avoid books that receive so much attention. So many people told me how good this one was, however, and the book became more than just a great read for me when I gave in. See, I’d given up writing ten months before, due to circumstances too long to explain here. Writing had been a lifelong passion, and I’d dropped it, determined to never go back. The Night Circus changed my mind and reignited my love for creation, and that has meant far more to me than I can adequately express. So, once again, thank you bloggers for all that you’ve given! ETA: Being the numbers geek that I am, I just went back over my eight years of blogging and counted up the books I read based on specific blogger recommendations. The total comes to 46% of my reading over the last eight years. That doesn’t even include all the books I never would have thought of on my own without blogger influence! In other words, y’all are awesome! This entry was posted in Book Talk and tagged BBAW. Bookmark the permalink. I remember when you read this and how it really impacted you! You mentioned just now on twitter that blogging has changed your life in every way–I couldn’t agree more. I honestly can NOT imagine how my life might be different right now if I had never discovered blogging. I can’t either! It would be an entirely different life. Aw, Amanda, this was a lovely post to read. To find a book that can make you want to create is so rare and special. The audio is good too. I keep thinking that the next time I read it (it’s been three times now), it won’t affect me as much. It does every time, though! It’s such an amazing book!